Wait wait! Don't run away so quickly after reading the title. The picture caught your eye, right? Have an open mind! Try something new! Hear me out. You might like it. One cook's trash is another cook's treasure. It fascinates me that, across the world, certain foods are perceived as desirable in some ages or areas and seen as unwanted in other times or places. Wheat bread was seen as a peasant food in earlier times, and white bread was the bread of well-to-do folks. Yellow cheese (from pastured cows) is more desirable on pizzas in Asia, whereas white cheese is the desired pizza cheese in the US. The source of this fact is a fascinating article I recently read. You can find it here. My spouse also backs up the idea that pizza cheese in Korea was just different than what he'd been used to [before my pizzas, that is]. Now anything goes. Beef tongue evokes strong reactions. Depending on experience folks either love it because they've tried it or cringe because it looks like, well, a tongue. In keeping with my philosophy that if you choose to eat beef, you might as well use all of the cuts offered, I am firmly in the "love it" camp. 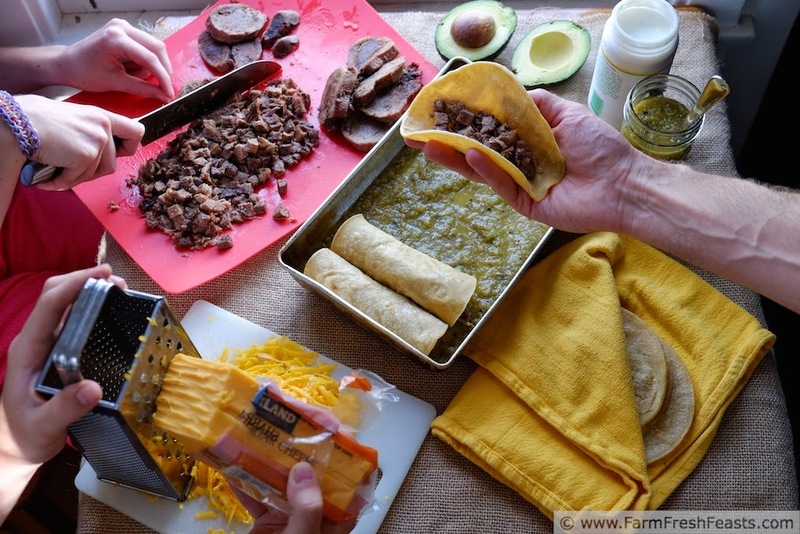 My kids are still cringing because beef tongue looks different than all the ground beef in tidy packages in the freezer (link to my Ground Beef Recipe Round Up). Does beef tongue skeeve you out? 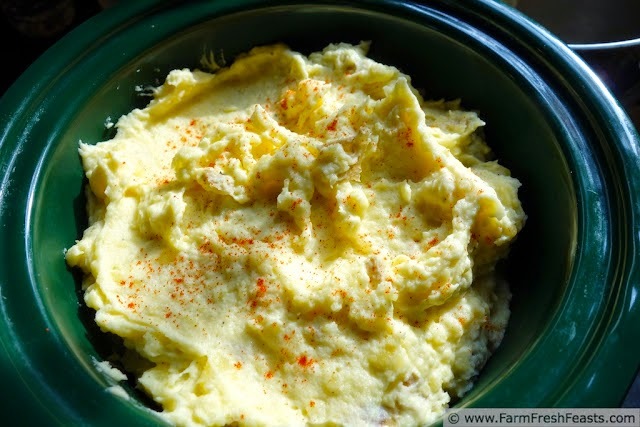 How 'bout Mashed Potato Casserole, that can be made the day before, and cooked in a slow cooker or baked in the oven? My recipe for Make Ahead Irish Mashed Potato Casserole is in a Featured Bloggers Favorites contest over at SavingStar. Voting enters you in a chance to win a $50 American Express Gift Card, and the winning blogger also receives a gift card. You can find the contest here. The whole family pitching in to make beef tongue enchiladas. The recipe is coming. 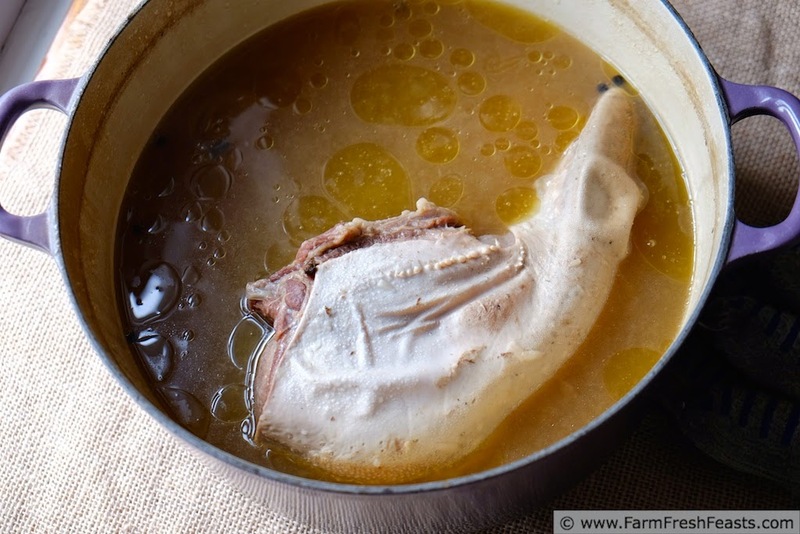 Each time I prepare tongue, the flavor overcomes more of the cringe factor. By our next cow it should be quite commonplace. With this tongue we had enchiladas, sliders, and nachos because there was plenty of meat and I felt like experimenting. 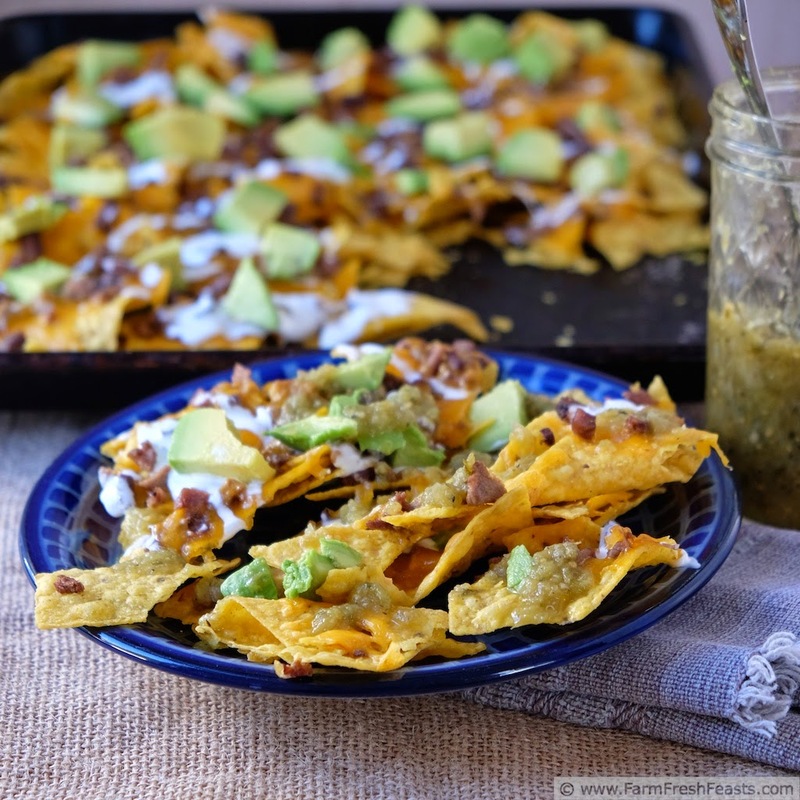 This recipe gets shared first because I love the colorful photos and I could go for a plate of nachos right about now. I cook the tongue using Elise's recipe on Simply Recipes. You can find it here. Sometimes I shred the meat between two forks, sometimes I slice and fry pieces before chopping into cubes. It's pretty versatile. Today I used some cubed meat in our nachos. Preheat oven to 375 degrees Fahrenheit. 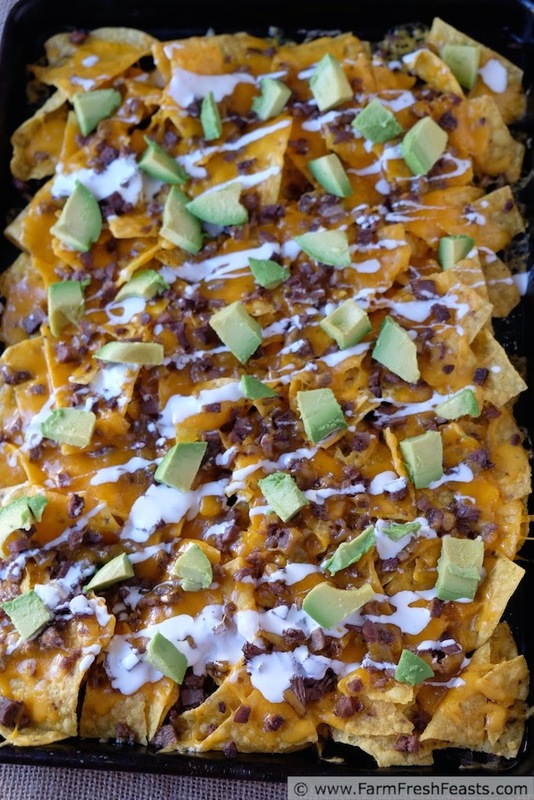 On a rimmed baking sheet layer as many tortilla chips as will comfortably fit. Scatter cheese across chips, then top with tongue. Bake for 10 to 15 minutes or until cheese is bubbly and beef is heated through. 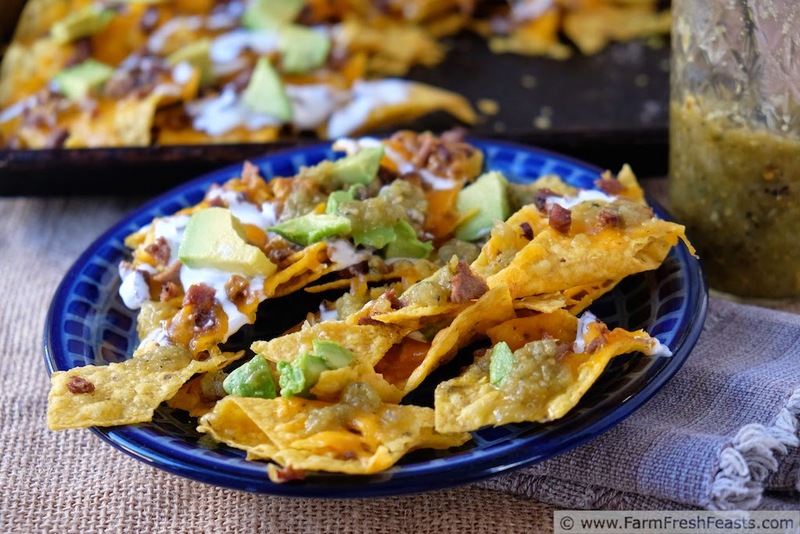 Remove from oven, drizzle with crema, and top with avocado. Serve with salsa verde on the side (it makes the chips soggy if it sits too long, best to add to individual plates for dipping). A Behind the Scenes photo. 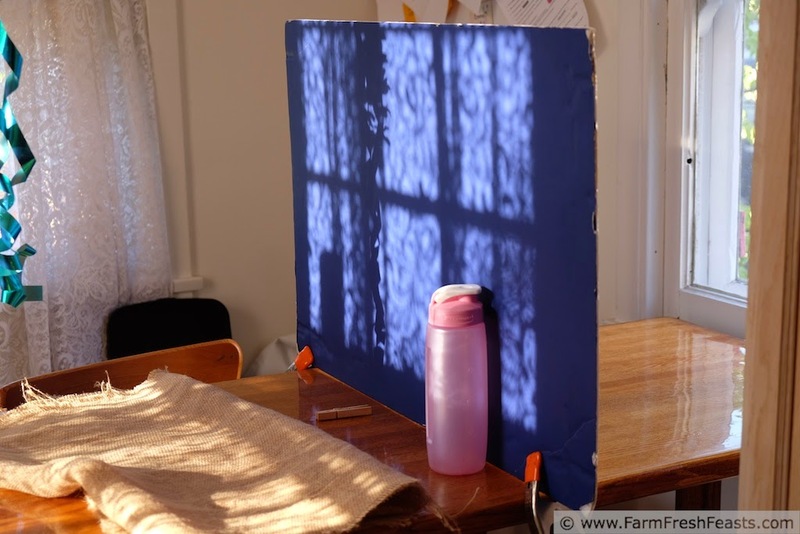 The evening sun is coming in through my west-facing window. I've blocked it with a foam core board. See how shiny my table is? Yeah, that's why I throw burlap on it all the time. Furniture refinishing is not my strong suit. Making tongue look appealing is, though. Great story telling...verbally and visually. I love the family shot, all working in tandem. While beef tongue might make me cringe (because I'm a sissy), I appreciate your use of the whole cow. It's rather impressive and these pictures came out fabulous. I also need to look into using this Mexican Crema. I've got a Roasted tomato soup recipe I'm hoping to make soon, and it might be a nice addition. Mexican cream is fun--as is changing it up photography wise. I just picked up a tongue to make tongue tacos! 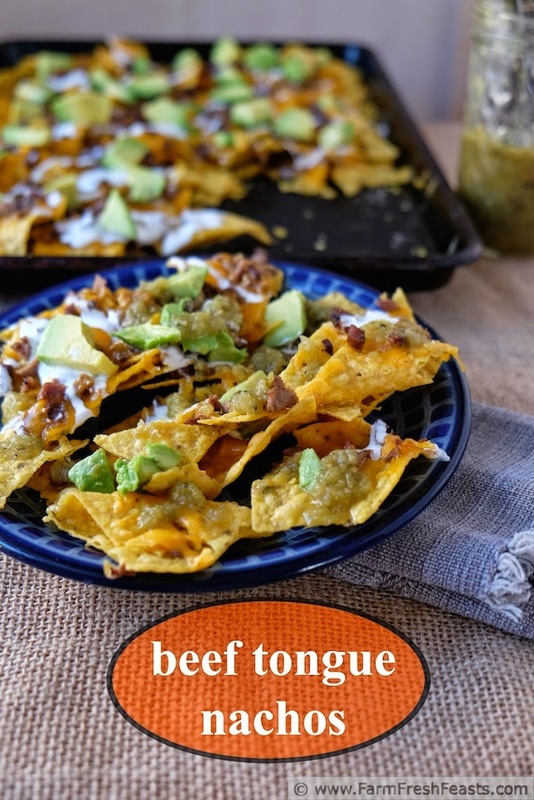 I know I'll have meat leftover because it is ginormous, so your nacho idea is going on my list!! Thanks for sharing! Yay! I have a couple left in the freezer because I pick them up when I see them (I am positive we only got one in the cow quarter) but I need to thaw and eat the tail first. So good.